The poet Celia Laighton Thaxter (1835-1894) grew up on the Isles of Shoals. Her father built a large hotel on Appledore Island that became a gathering place for literary and artistic greats of New England during the late 19th century. Celia's garden exists today much as it did more than a century ago, when writers like Ralph Waldo Emerson, Nathaniel Hawthorne, and Sarah Orne Jewett, and artists William Morris Hunt and Childe Hassam drew inspiration from their visits to her Appledore home. 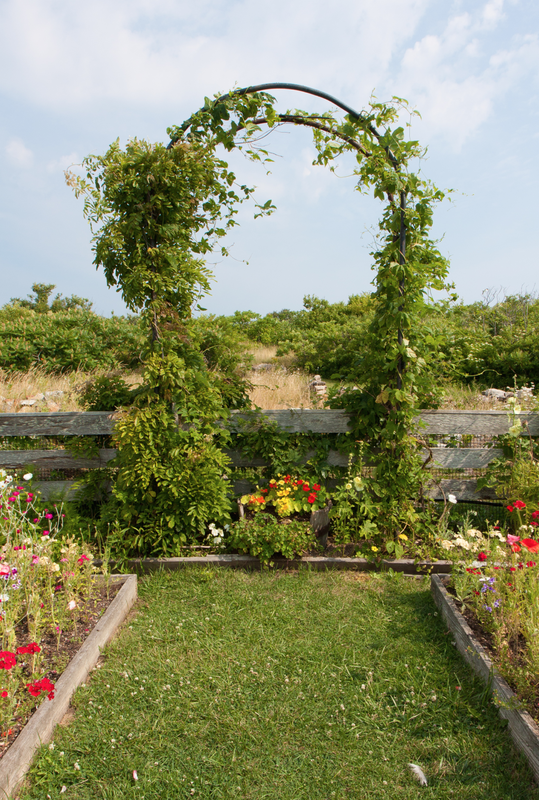 Her flowers served as a cutting garden for the family's resort hotel and muse for her acclaimed book, An Island Garden. Today the staff and students at the Shoals Marine Laboratory tend to the reconstructed garden, remaining true to the historical descriptions and methods detailed in Celia's book. Island visitors are invited to step inside the garden gate and experience the simple beauty that first graced these rock shores more than a hundred years ago. 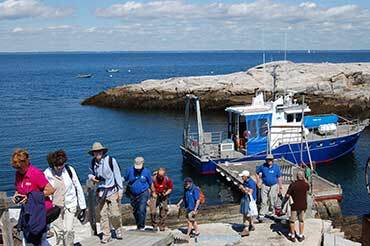 Today, hundreds of summer visitors flock to the island to walk in Celia's garden, explore the shores that once drew early fishermen, and visit the Shoals Marine Laboratory. Come witness its history. The Shoals Marine Laboratory offers students the opportunity to experience the garden through unique internship opportunties.